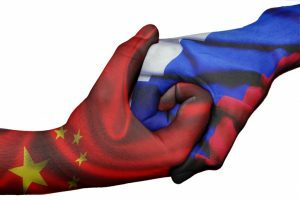 Russian drugmaker Biocad and Shanghai Pharmaceuticals Holding (SPH) have formed two joint ventures to develop and make originator and biosimilar antibodies in China. At the Eastern Economic Forum (EEF), a memorandum of understanding has been signed between the two companies, establishing two joint ventures aimed at developing and manufacturing several monoclonal antibodies intended for the Chinese market. To support the projects, the firms have also said they plan to create a drug substance manufacturing footprint in China. However, construction of the jointly-owned production facilities is set to start as early as 2019. Biocad is one of Russia’s leading biomanufacturing firms and has four biosimilars launched across several markets: Versions of Roche’s Avastin (bevacizumab), Rituxan (rituximab), Herceptin (trastuzumab) and J&J’s Remicade (infliximab). Biocad’s main production facilities for MAbs and its head office are located in Saint Petersburg. Also Biocad has a drug product production plant in Petrovo-Dalnee, just outside Moscow. However, the firm has begun looking outside of Russia in efforts to expand its manufacturing footprint, announcing plans to build a €25 million ($29 million) 3,500m2 biomanufacturing plant in Turku, Finland in May 2017. And earlier this year, the firm said it is looking to move all its biosimilar and originator biologic production to the European Union by 2022.